The Olympia School District is proud of our students and staff who achieve amazing successes every day. 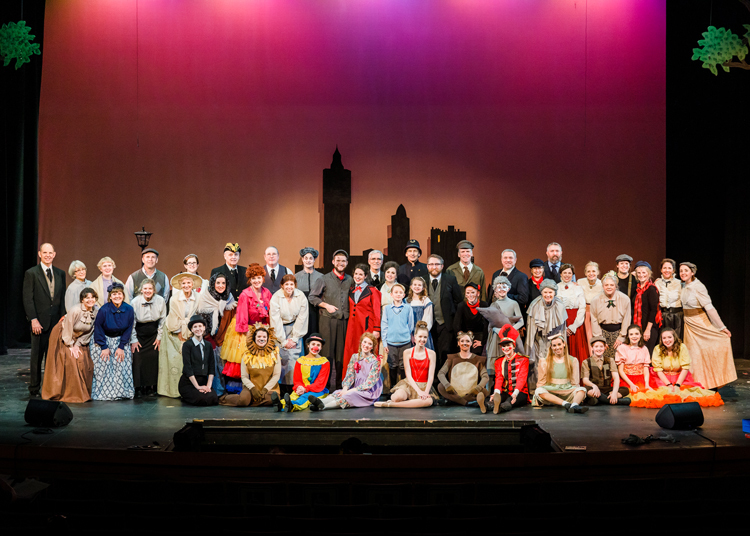 In an effort to recognize and celebrate those achievements both inside and outside the classroom, we have compiled a list of academic and extracurricular accomplishments that involve members of the Olympia School District community. This list is by no means comprehensive, so please let us know if there are additional accomplishments we have missed so we can add them! With your help, we will capture all of the amazing accomplishments in our district and celebrate student achievement, continuous improvement and 100 percent commitment to quality and excellence in all things! Please submit accomplishments to Arielle Allard, Communications Assistant, at aallard@osd.wednet.edu. Photos are welcomed and encouraged! For Constitution and Citizenship Day, Melisa Walker’s first-grade class was visited by Thurston County Superior Court Judge Chris Lanese, who is also an Olympia School District parent. Judge Lanese explained the judicial process and how he helps others in his role as a judge. He talked about working with police officers and attorneys when there is a court case and evidence. 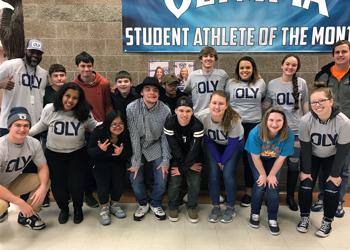 Over the summer Olympia High School received notification from the Special Olympics that it had received National Banner status as a Unified Champions School. OHS was one of just 220 schools (elementary through college) in the country to receive this level of recognition. Made possible by the generous support of businesses and individuals throughout our compassionate community, the PECF allows our principals to meet the emergency needs of students and families in our district in real time. The 2018 passage of the OSD Technology and Safety Replacement levy sets the stage to provide each student with computing tools that can be used every day, from any place, to support their learning. These tools will promote higher-level thinking, engage students in the learning process and prepare them for life after graduation. Students grades 6-8 at Marshall and Reeves Middle Schools will receive a district-owned Chromebook to use at school and home during the school year. The 2019-20 school year will bring about more Chromebook use in the Olympia School District. Marshall Middle School and McLane Elementary School have each been recognized as a 2018 School of Distinction. The award is presented annually to the top 5 percent of schools statewide that have made sustained improvement over the past five years in English language arts and math. This is the first year that McLane Elementary has been named a School of Distinction and the second year in a row for Marshall Middle School. Over the summer Capital High School student Daniel Neary was accepted to the Washington World Fellows program. Neary was chosen from among 300 applicants from across Washington state for his clear academic drive, his enthusiasm for new learning and his demonstrated personal determination to succeed in whatever he pursued. This fellowship is a study abroad and college readiness program that is the result of a partnership between the Office of Lt. Gov. Cyrus Habib, Central Washington University (CWU), the Association of Washington Generals (AWG), and the Honorary Consulate of Spain. Mid-October, the Olympia School District offered text-messaging communications to OSD families. This was via an opt-in text that was auto-generated by School Messenger and sent to all families that have cell phone contact information entered into Skyward. On October 18, Capital High School put together a very special evening for long-standing Band Director Dan Lundberg. After 41 years of service to the Olympia School District, including 35 years teaching at Capital HS, Lundberg will be retiring at the end of the 2018-19 school year. 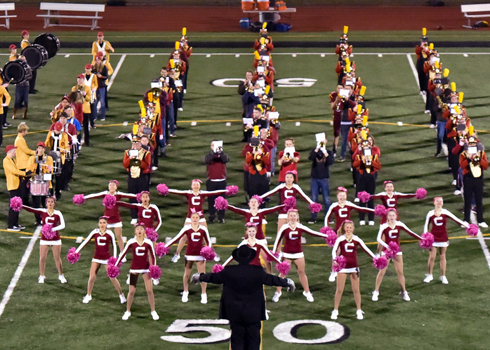 All Capital High School band alumni were invited to meet-up prior to the CHS football game versus Central Kitsap HS, and to bring along their instruments. During the pregame, band alumni joined the CHS band as they took the field at Ingersoll Stadium. The Olympia Regional Learning Academy (ORLA) is the proud owner of a new art piece titled “Shelter.” This piece of art was inspired by a description of ORLA: "This place is full of activity. It's like a beehive." 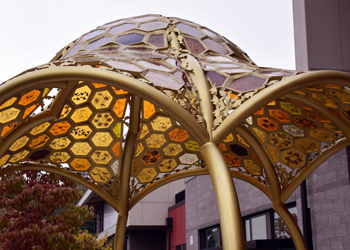 Made possible by a grant from the Washington State Arts Commission, “Shelter” is a collaborative effort between the selected artist, Diane Hansen, and the ORLA community. Seven Olympia School District (OSD) high school seniors have been named semifinalists in the 64th annual National Merit Scholarship Program. Students qualified for the award by taking the 2017 Preliminary SAT/National Merit Scholarship Qualifying Test (PSAT/NMSQT). The Olympia School District National Merit Semifinalists include Jimmy Pham from Capital High School. Semifinalists also include Harry Boo, Gordon R. Elwood, Yufan R. Mou, Naisan Noorassa, Daniel P. Saelid and Addison Sterner from Olympia High School. Roosevelt Elementary students participated for the first time this year in a Walk N Roll program sponsored by Intercity Transit. Olympia now has six elementary schools participating in this walk to Roosevelt ES Principal Sean Shaughnessy participates in Walk n' Rollschool event. Jefferson Middle School also joined our October Walk N Roll, celebrating International Walk to School Day. 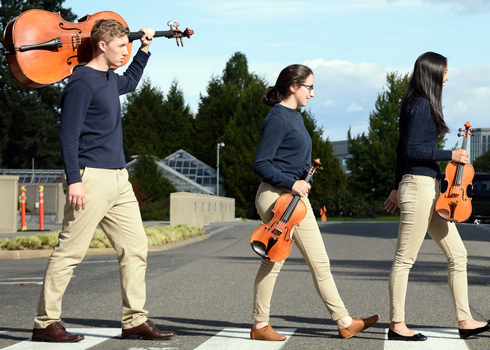 When the show “Beatles vs. Stones – A Musical Showdown” came to the Washington Center on October 26, four Olympia High students played alongside the professional musicians on stage. The show pits Rolling Stones tribute band Satisfaction against Beatles tribute band Abbey Road in a musical showdown for rock dominance. 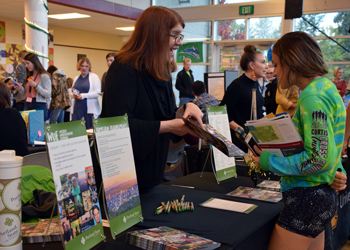 More than 80 colleges & universities, community and technical colleges, military, apprenticeship programs, scholarship, career and volunteer organizations were on hand at the annual Career & College Fair to answer questions and provide information about programs and opportunities available. Students were encouraged to bring questions regarding their pathway options, as well as a list of representatives they were interested in meeting. The Olympia School District has partnered with the Olympia Police Department to present the A.L.I.C.E. (Alert, Lockdown, Inform, Counter and Evacuate) training to our staff and students. The number one goal of A.L.I.C.E. and our school is to keep students and staff safe and away from harm. The training is basically an enhanced lockdown drill. A.L.I.C.E. gives staff or students the option to evacuate or flee an area if that is the best course of action. This training also teaches staff and students, particularly in middle and high school, to be prepared as a last resort to “counter” – apply skills to distract, confuse and gain control. We have given careful consideration to presenting the A.L.I.C.E. training in an age-appropriate way. Students in grades 6-12 will be trained by staff and/or Olympia Police officers on the full A.L.I.C.E. protocols. Olympia HS students took a variety of ribbons in the Washington State Fair 2018 Jr/Sr High School Art Show including a first place in Best in Show, 7 first places, 3 second places, 3 third places and 8 placings in Honorable Mention. In addition, one OHS piece took first place in the Patriotic category. 2 pieces were also selected as People's Choice of the Day. Art mediums ranged from watercolor, to pastel, to elaborate pen sketches and more. Anna McClatchey, a junior at Olympia Regional Learning Academy (ORLA), and Grant Erickson, a senior at Capital High School, are this year’s student representatives for the Olympia School District Board of Directors. Congratulations to three Olympia School District employees selected to receive this year’s Olympia School District Classified School Employee of the Year award. Travis King, paraeducator at Centennial Elementary School. This is King’s fifth year at Centennial Elementary, where he works as a behavior technician. Denise Pigue, paraeducator at Garfield Elementary School. Pigue is in her fourth year at Garfield Elementary School, where she works as a behavior technician. She has worked for the district since 2008. Todd Thornton, head custodian at Roosevelt Elementary School. 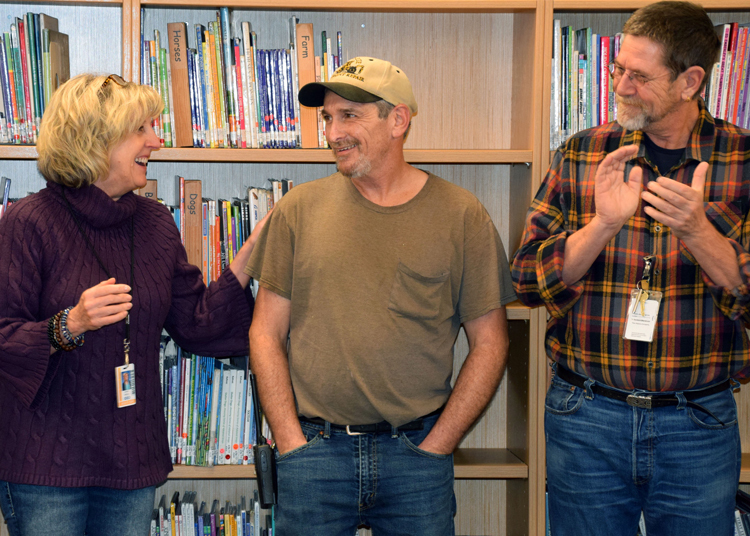 Todd has worked as head custodian at Roosevelt Elementary for four years and for the district since 2006. Capital High School girls' volleyball placed third in state tournament out of sixteen teams. Olympia High School girls' volleyball placed sixth. The Washington State Volleyball Coaches Association named Nichols 3A state player of the year. Arizona State also offered Nichols a scholarship for beach volleyball to play for the Sun Devils. 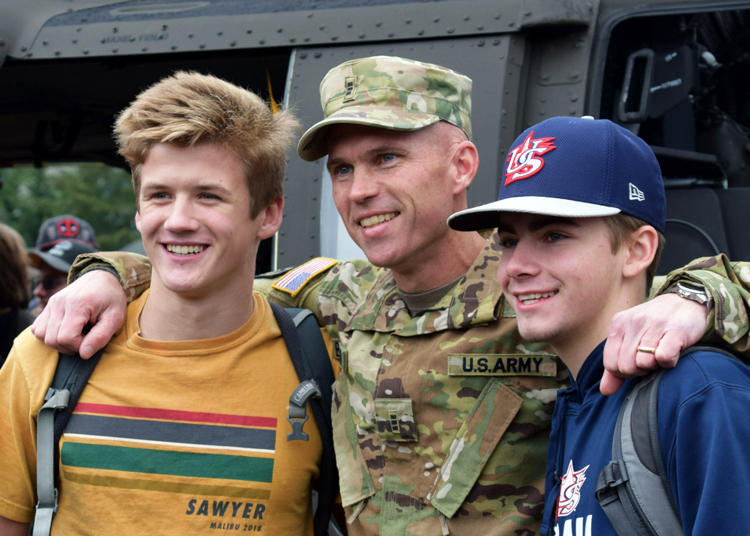 Students throughout the district honored veterans this month with color guards, music, guest speakers and special events including the landing of an UH-60 Blackhawk helicopter on campus. The Visual Arts Program is in its fourth year, bringing a variety of art techniques and expertise into elementary school classrooms throughout the school district. This program began in 10 classrooms and has grown to 52, giving students the opportunity to learn from volunteer art docents and emulate famous pieces of art. Olympia schools have been busy with canned food drives in the weeks leading up to Winter Break. Friendly competitions between classes and schools, as well as all-school challenges, have generated a flurry of activity throughout the school district. With help from elementary and middle schools in the Olympia High School attendance area, Olympia High School donated a total of 71,390 cans to the Thurston County Food Bank. In a similar collaborative effort, Capital High School donated just under 15,000 cans to the Thurston County Food Bank. The new Olympia School District custom app was made available in December 2018 for download on iPhone and Android. Parents can use this app to search breakfast/lunch menus, bus routes, upcoming events, staff directory information, school announcements, district news and more. Anyone can use this free app to stay up-to-date on news and information from our district. The school board shared the draft student outcomes beginning in August with staff, students, families and the community and asked for input during in-person focus groups and on an electronic feedback form. After reflecting on that initial input, the board made some revisions to the draft student outcomes on October 1 and again on October 29, 2018. Outcome 1: Be compassionate and kind. Outcome 2: Have the academic and life skills to pursue their individual career, civic and educational goals. Outcome 3: Advocate for the social, physical and mental wellness of themselves and others and be hopeful about the future. Outcome 4: Have the skills, knowledge and courage to identify and confront personal, systemic and societal bias. Outcome 5: Discover their passions, be curious and love learning. Outcome 6: Be critical thinkers who contribute to and collaborate with our local, global and natural world. Avanti High School hosted their second annual Student Led-Ed Camp. The camp is led by students, with guidance from teachers. Students live-updated a digital schedule throughout the day and served as “ambassadors” for the discussion rooms. Last year, students from Aspire joined Avanti students for the camp. This year, NOVA students attended, adding diverse voice to the discussions. During the DECA regional conference, 37 of Olympia High School's students advanced to state. Students took 4 first places, 9 second places, 7 third places and 5 fourth places. For Capital High School, 30 students advanced to state. CHS took 9 first places, 3 second places and 4 third places. Six students from the Olympia Regional Learning Academy also attended. Prana Brockmeyer, an 8th-grader at ORLA, took first place in Quick Service Restaurant Management. The Distributive Educational Club of America (DECA) is a co-curricular organization for high school marketing students. A wide range of competitions were offered in the January conference, including advertising, marketing communications, retail and entrepreneurship. The Bears win 6 out of 11 events at the Ninth Annual South Sound Relay. They finished with 930 total team points and took first place in the overall team championship. Tony Ponomarev, a freshman on the OHS boys swim team, posted two official Class 4A state qualifying times and is an NCAA Division I. He posted 48.55 seconds in the 100-yard freestyle and a 1:44:89 in the 200 free. OSD students throughout district honor Martin Luther King Jr.
Marshall Middle School students spent the Friday before MLK Day participating in roughly 30 service projects throughout the community. Other schools participated in a spaghetti dinner at their school, watching theater production of "Ruby Bridges" including a Q&A with the actors afterward and "theme" days which focused on service within their school. 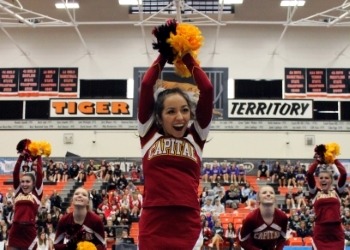 Saturday, February 2, the Capital High School Cheer Team came in fourth in the 2A/3A/4A Game Day Small Division at State. On February 26 and 28, students had the opportunity to learn about a wide variety of middle school options including: Marshall Middle School Citizen Science Institute (CSI), Jefferson Accelerated Math & Science (JAMS) program, Olympia Regional Learning Academy (ORLA) hConnect and iConnect programs and the Capital High School International Baccalaureate (IB) program. The event included 64 performances of 29 teams and 627 athletes. This is the largest regular event of the year for Washington Interscholastic Activities Association (WIAA) High School Dance teams. Johanna Chhay, a junior at Capital High School, has been named 2019 Boys & Girls Club of Thurston County “Youth of the Year.” The Youth of the Year competition takes place on the local, county and state level, finishing with the national level. Chhay competed against other winners within Thurston County to win the 2019 Youth of the Year nomination. She will now advance to the state competition. Enrichment and Arts Cohort for High-Achievers (REACH) solved mysteries this past semester. 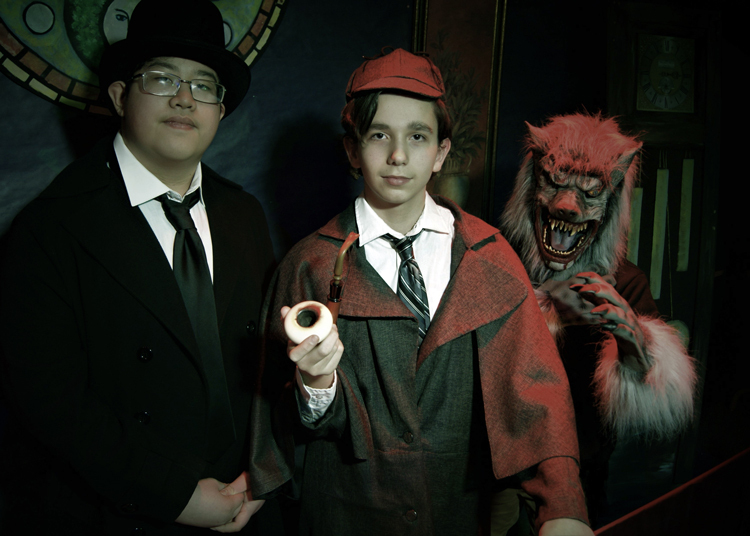 The REACH students pored over the works of Sir Arthur Conan Doyle, Agatha Christie and Edgar Allan Poe, looking for clues to make the perfect plays. JMS students selected their favorite stories and adapted them into script format. They presented their work to the general public with two productions: And Then There Were None and Sherlock Holmes. Capital High School boys basketball team came out on top 48-41 against West Seattle in the first round of the State Basketball Tournament at the Tacoma Dome. Olympia Regional Learning Academy (ORLA) teacher Cristy Havens was selected as the Washington Association for Learning Alternatives (WALA) Alternative Learning Experience (ALE) Elementary Educator of the Year. Havens was nominated by ORLA hConnect & MAST teacher Laura Herman and the ORLA administrative team. The Olympia School Board recognized this year’s Elementary and Secondary Teachers of the Year, the new National Board Certified Teachers (NBCT), as well as those who have renewed their NBCT certification during the March 11 school board meeting. Olympia School District Elementary Teacher of the Year: Devin Alexander, reading intervention specialist at LP Brown Elementary School. Alexander has worked at LP Brown Elementary since 2006. Olympia School District Secondary Teachers of the Year: Lorraine Manning and Marion Sheridan, Special Education Life Skills teachers at Olympia High School. Manning joined the district in 1996 and has worked at both Olympia and Capital high schools. Sheridan started in 1998 and has worked at Olympia High School ever since. New NBCTs: Emily Hamilton of McLane Elementary School, Amy Hill of Pioneer Elementary School and Marisa Castello of Olympia High School. Renewals: Tania Albert, Kelly Boyer and Kristen Soderberg of Olympia High School; Charleen Hayes and Trisha Douay of LP Brown Elementary School; Melissa Johnston-Cota of Capital High School; and Candyce Burroughs and Jodi Boe of Washington Middle School. 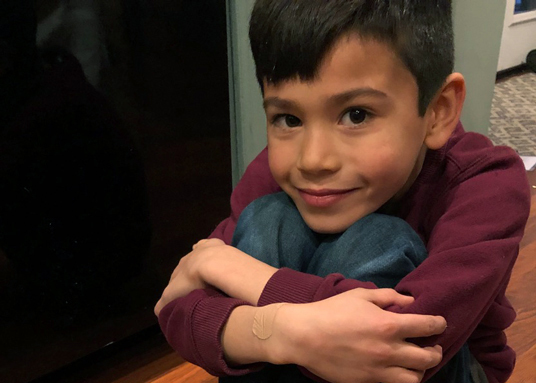 Elliot Beagle, a 7-year-old at Hansen Elementary School, enjoys drawing a variety of art pieces including a certain competition-winning green monster. Elliot joined 19 other young artists whose drawings of imaginative monsters were selected as part of an international competition. Jasper Wong, a pop culture artist, took the winning designs and reinterpreted them into a design for PLAE, a company that specializes in artistic shoe and T-shirt design. The South Sound Regional Science and Engineering Fair was held at Pacific Lutheran University. Aaryan's science experiment "Greasy Chips" won 1st place at this regional competition. 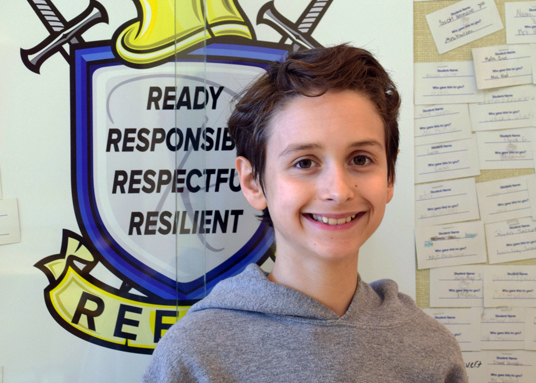 Dylan Borden, a sixth-grader at Reeves Middle School, has been named one of the semifinalists eligible to compete in the 2019 National Geographic GeoBee Washington State Competition on March 29. The GeoBee competitions test the participant's knowledge of countries, oceans and cultures around the world. To qualify for the state GeoBee, winners at the schools took an online qualifying test. The 100 top ranked students in each state qualify for the state championship. More than 4,000 students from Washington state competed in the DECA state conference February 28-March 1. Students who placed in the top 5% at state qualify for the International Career Development Conference (ICDC) in April. The School Based Enterprise Team also achieved Gold Level recertification. 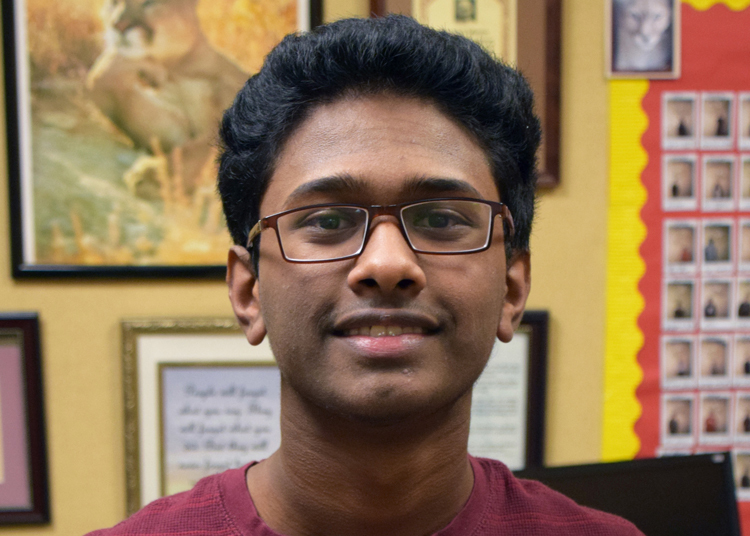 Muthuu is one of only 12 students across Washington State to receive this four-year, full-tuition scholarship. OHS is one of only 233 schools in the United States to receive National Unified status for their commitment to inclusion. This status is given by the Special Olympics to schools who have met 10 national standards of excellence.